What is the martial arts mindset? Why is it important for everyone to have? After listening to Tim’s story of purchasing the DVD at Best Buy, do you have a similar story where you kicked yourself because you wish you handled something with a better response? It’s our one-year anniversary of launching ALNO! Thank you to all that have supported the podcast by listening and sharing it with your friends. Please SUBSCRIBE if you haven’t already on Apple Podcasts, Google Podcasts, or iHeartRadio! We’d really appreciate if you’d leave a quick RATING and REVIEW on Apple Podcasts (iTunes)! We talk about the importance of good choices, good practices, and quality rituals. The definition of a ritual is: “An act or series of acts regularly repeated in a set precise manner.” Another way of saying “regularly repeated” could be consistent. Two things that help us become more consistent are leadership and fellowship. Even though consistency is so powerful, results are not able to be observed right away. And because we are hardwired to seek instant gratification (especially in today’s world), it is often difficult to maintain and sustain being consistent. Being consistent means you commit yourself to a task, activity, or goal — and to stay engaged without distraction over the long-term. It sounds very simple, but it's not easy. And although it's not easy, it simply works. It's the most important factor in leading to accomplishment and success. Hear some of our suggestions on how to become consistent in making wise choices and developing beneficial habits. What do you do consistently that makes your life better? Tell us in the comments. We consistently release a new episode every single Thursday. To get the most benefit, you should consistently listen! Be sure to catch every episode by subscribing on Apple Podcasts or Google Podcasts for Android users. And we’d love it if you could leave a rating and review! It’s important to cultivate REAL relationships. People are in our lives either for a reason, a season, or a lifetime. Learn the difference. Leadership is like an arrow. The arrow’s tip (the leader) must have mass behind it (quality relationships), otherwise it’s nothing. Find good leaders and mentors (ones with no hidden agendas). Follow them and emulate them. Tell us about a relationship (good or bad) that has changed your life. Is there/was there a strong leader that you learned from? What hardship changed you and made you grow as a person? Tell us in the comments. Subscribe to our show on Apple Podcasts or Google Podcasts for Android users. And we’d appreciate if you’d leave a rating and review! If you’ve heard our show before you’ll know we use principles from the martial arts as the foundation for discussion, but in a way so that the concepts can be appreciated by everyone — even those who are NOT martial artists. Our show is intended for anyone who’s looking to live a healthier, cleaner, more vibrant, fulfilling life and become a better, stronger person. 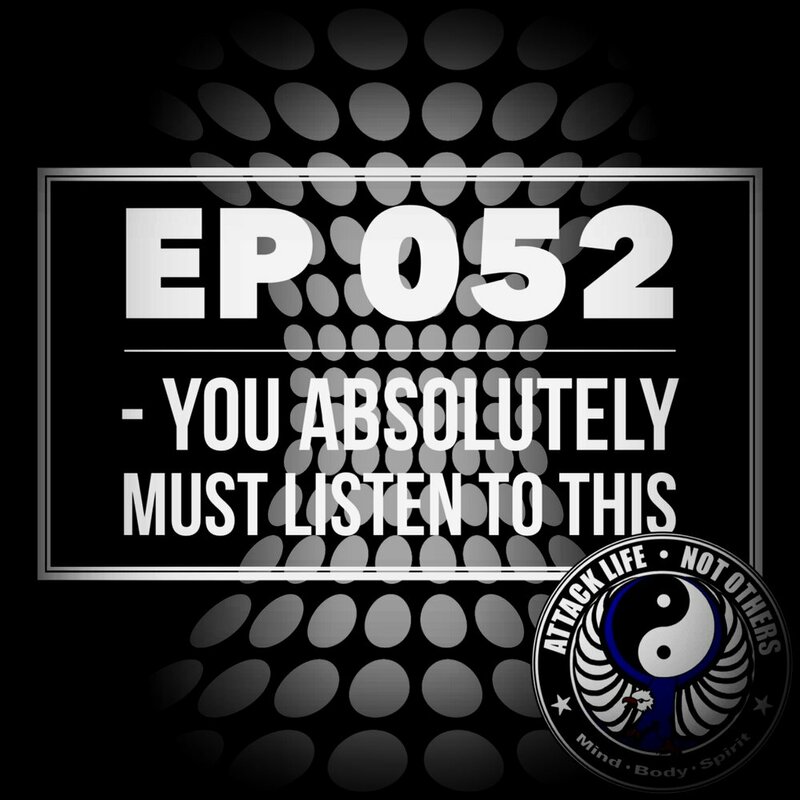 We continue to follow that format, however, if you ARE a martial artist you’ll really appreciate this episode. Sensei Tim Speiss, who is also a federal agent, is another very experienced, accomplished martial artist. He and Sensei Hoover, in fact, have a common teacher. For many years they both trained under Master Tim Hawk. Have you ever taken a step back and by physically observing something from a different angle the situation changed? If so, give us the details in the comments. Subscribe to our show on Apple Podcasts, Google Podcasts for Android users, or wherever you get podcasts. Please leave a rating and review!